We love to save as much as you do, so our team seeks out your favorite local activities, restaurants, spas and stores, so you can play, eat, relax and shop for less! From spa treatments to cupcakes, ski packages to yoga classes - we find the best deals and deliver them to you - in the form of a Save. Sign up for Daily Save emails and you'll be the first to know when we have a great Save. Like the Save? Click and buy. Not interested? No problem. Just wait for the next great Save to come along! If you like one of our Saves, share it! When one of your referrals buys their first Save, you'll get Save Rewards. You can also suggest Eversave to your friends using our referral page to Tweet it, Facebook it or email it. We love saving as much as you do and are committed to giving you the best deals possible - and as many ways to save as we can. So become part of the Eversave family today and get ready to get your Save on! I have been using Eversave for a couple years now, and I love it!! You can score some terrific saves. I have gotten things like books, and gift baskets for the holidays through them!! Take a look at this save that went live today!! I took a look at the list of Days Inn's and there are 1500!!! You can go just about anywhere!! This is a great deal for an upcoming fall vacation, or save it for a later date. The save is good until September 25th 2014. That's over a year!!! A lot of the Days Inns offer swimming pools and breakfasts!! For us, those are two must haves!!! What I love the most is that you can buy more then one save. For this one you can purchase up to 5 saves. That is 10 nights for less then $500!!! That is a fabulous deal!! Eversave is also running terrific Tech Savvy deals right now as well. Every deal today is less then $30!! 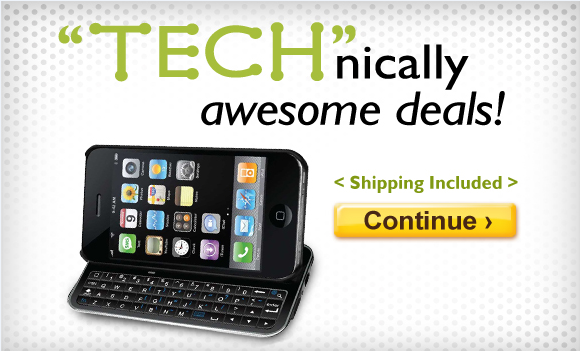 You can get things like iPhone keyboards, blue-tooth headsets, and even battery-extending iPhone cases. The best part is that shipping is included!!! Make sure you check out Eversave to see all the great deals going on now. Some only last a couple days so check daily and often!! Now I am very excited to be partnering with Eversave to offer one lucky reader today's Days Inn save!!! That's right, I get to give one of you a 2 nights stay at any Days Inn you chose!! Make it a stay-cation and stay close to home, or take a nice trip away!! Your choice!! Enter below and good luck!!! Make sure you are an Eversave member, that is the only way to receive the voucher!! South San Francisco sounds fun! I would stay at the one in Portland, OR! I would stay at the Wyndham Boston Beacon Hill!! I would probably stay at the Days Inn in Brunswick! Niagara Falls, NY would be awesome to stay at! 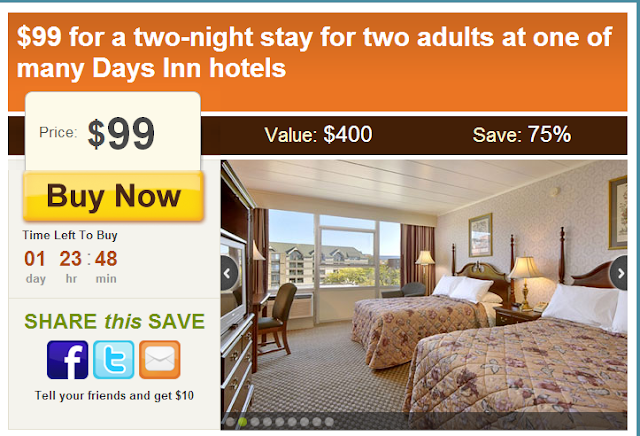 The Days Inn in Victoria would be lovely! We'd like to go to the Days Inn Miami Beach Oceanside. We've stayed there before and it is fantastic! I'd love to stay at the one in Washington D.C. (either the Gateway or Connecticut Avenue). I would pick one at the beach. Its been ages since I went to the beach.